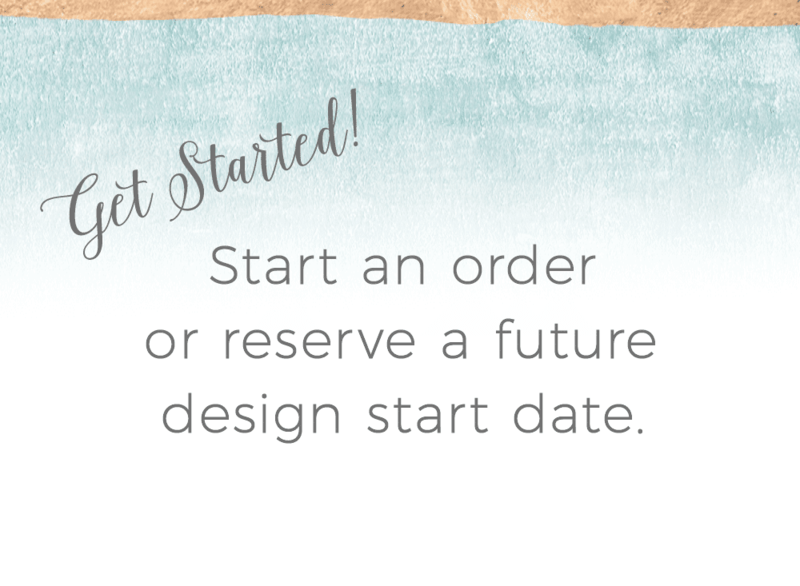 It’s so fun to create designs for festive celebrations – especially when they take on a bright and colorful look. 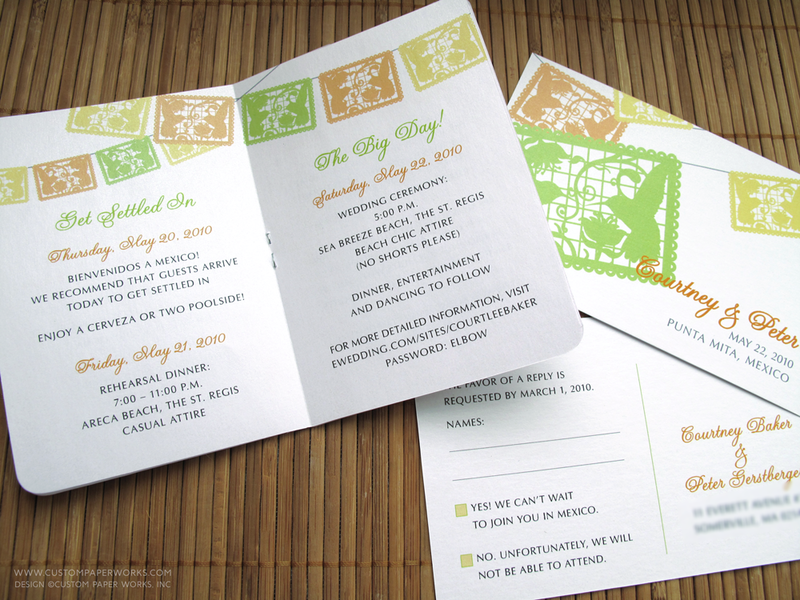 These invitations combine 2 themes: passport invitations and the famous papel picado (Mexican paper flags). 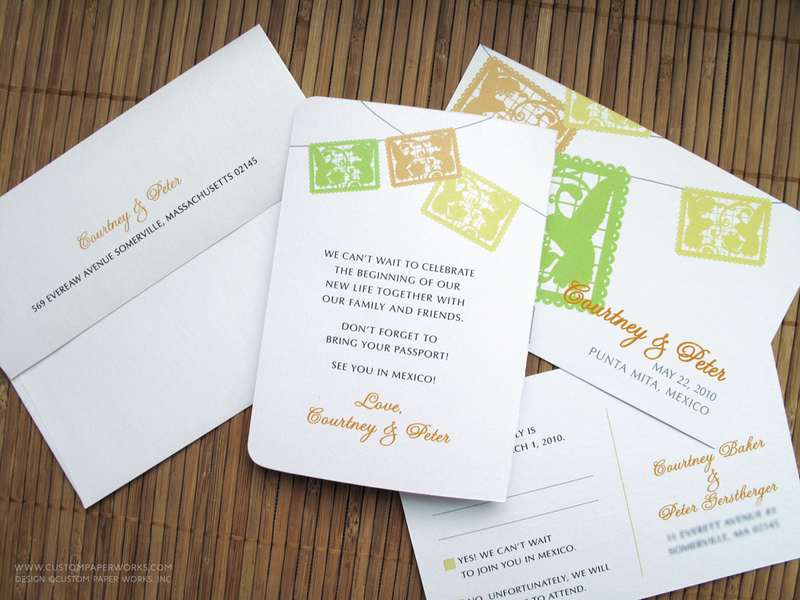 I designed many items for Courtney’s wedding including these invitations, guest welcome bag tags, and place cards. 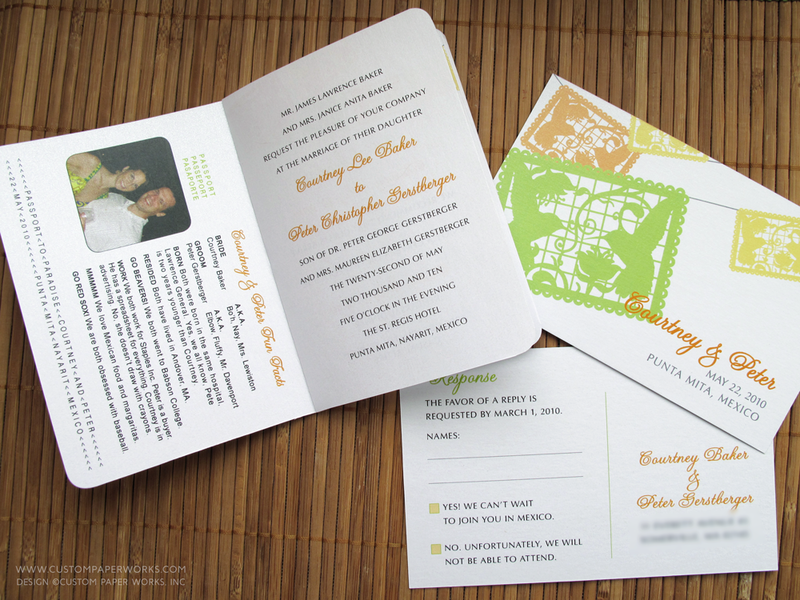 Inside pages contained the typical visa/photo page and traditional invitation wording, a short history of the area and resort details, and a schedule of events for all wedding guests. 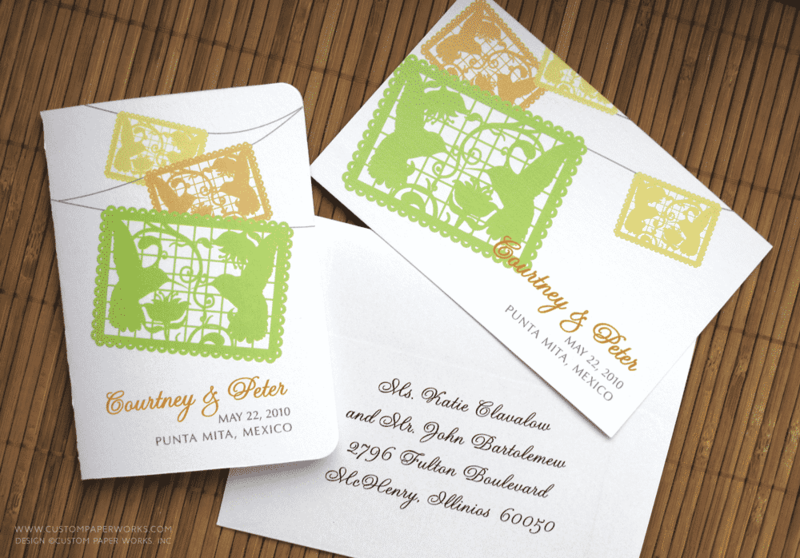 Many destination weddings include a few days of events beyond the ceremony and reception and it’s easy to communicate that to guests when including the information in the invitation – instead of sending multiple emails and phone calls. 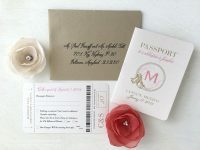 A multi-page passport invitation contains everything guests need to know to book their trip, and know what wedding-related activities are planned. 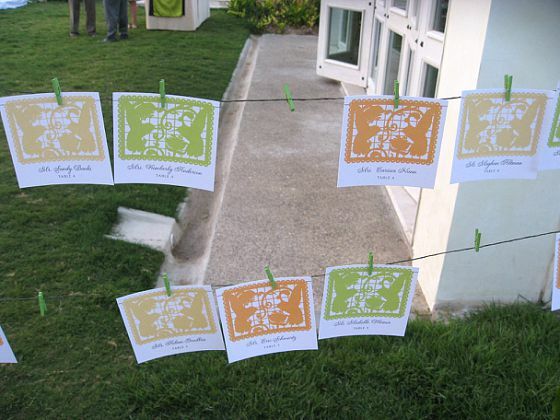 The place cards took the form of papel picados as well. 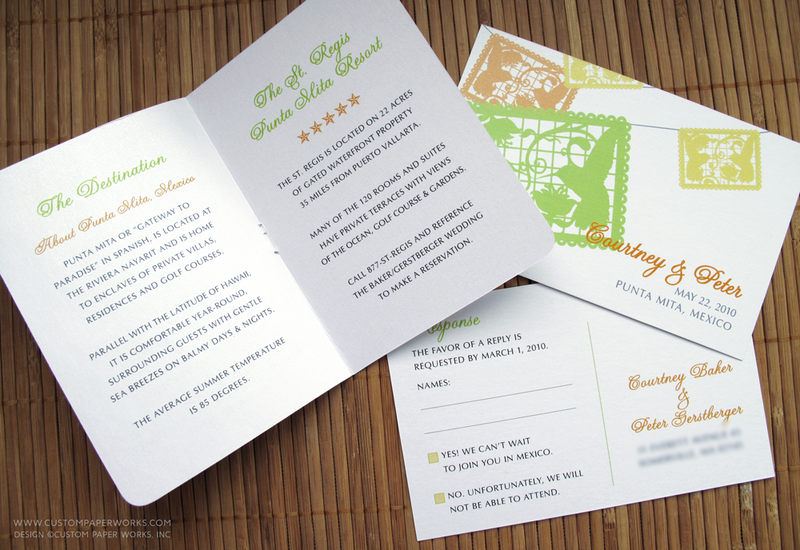 Even better that they were actually hung up for the reception on strings with colorful clothes pins!